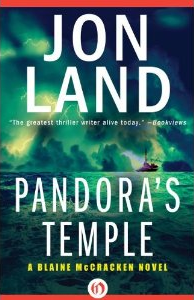 I have to admit that I was a bit reluctant to read Pandora's Temple by Jon Land. The title interested me, but not to the point where I was actually excited to pick it up and read it. That all changed, however, when I read that dark matter would play a big part in the storyline. I have always been interested in the subject of dark matter and was intrigued by how it would be incorporated into this book. Therefore, I immediately decided right then and there that I would try it and see what happens. Cue Paul Basmajian, a friend of McCracken's aboard the Deepwater Venture, an oil rig on the verge of making history. It is drilling to a level no oil rig has drilled before: past 32,000 feet. Mr. Basmajian senses that all is not as it seems concerning the rig. The location they are drilling, according to a cartoon rendering, shows no indications of the sandy sediment layers that signify oil beneath. He begins to wonder if there is something more to it, something more to where they are drilling. And he is right. A strange thing happens once the drill reaches past the target depth—a thing so bizarre that it causes the entire crew of the Deepwater Venture to simply vanish. The disappearance of the crew, along with the question of what could have caused it, brings McCracken back into the picture. He, along with his buddies Johnny Wareagle and Captain Seven, are called in to shed light on the situation. What they do not know is that what happened to the Deepwater Venture and its crew, but that is just a small factor in a much bigger plot—a plot that might ultimately mean the destruction of the world itself. All in all, I have to say that this Pandora's Temple a very well-written novel. The action scenes were vivid, and the more technical aspects seemed to be well- researched. Having never read a Jon Land novel in all my life, I was very pleasantly surprised to enjoy what I read. I look forward to reading many more books by Mr. Land, and hope to find each one as interesting and action-filled as this. Recommended for people who love action, adventure, and a bit of science. About the Author: Jon Land is the critically acclaimed author of 32 books, including the bestselling series featuring Texas Ranger Caitlin Strong that includes STRONG ENOUGH TO DIE, STRONG JUSTICE, STRONG AT THE BREAK, STRONG VENGEANCE (July 2012) and STRONG RAIN FALLING (August 2013). He has more recently brought his long-time series hero Blaine McCracken back to the page in PANDORA’S TEMPLE (November 2012). He lives in Providence, Rhode Island. About the Reviewer: Kayla is an avid reader who tends to read a little too much for her own good. By day she is a home healthcare worker and by night, or late afternoon, she is the lead character in any good story that can truly spark her imagination. She loves to read fantasy and historical fiction, but is ready and willing to have an open mind about any type of work. Books by unknown authors, or at least unknown to her, are her very favorites to read, because she believes that those stories, the unknown stories, are sometimes where the magic truly happens. 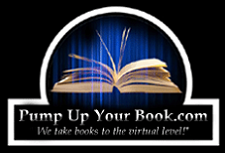 To learn more about Kayla, visit her blog at attackofthebookworms.blogspot.com. The Giveaway: And then there was the giveaway. This one is worth your while, we promise. Jon Land is giving away an e-book bundle of 5 of his previous novels from Open Road Media (one of our publisher crushes, if you recall). Included in the giveaway are The Omega Command, The Alpha Deception, The Gamma Option, The Omicron Legion, and The Vengeance of the Tau. Guess he loves him some Greek alphabet. Maybe he was in a fraternity? 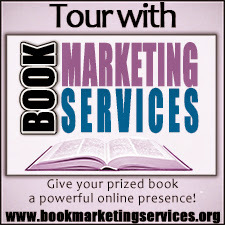 At any rate, you can use the Rafflecopter widget below to enter. The giveaway isn’t being administered by us, so if you don’t win, don’t come to our houses with the pitch forks and torches. I’ll kindly direct you Mr. Land for that. I'm not familiar with Mr. Land's books, but this looks like a great way to enter his world. Sign me up! Kayla: Fantastic review and post. Great job!! Thank you for sharing with your followers! I read and enjoyed Pandora's Temple too. I was happily surprised, because it's not my usual genre of choice but it was very entertaining. The whold dark matter thing was interesting. No, I have never read a McCracken novel—perhaps this will be my first! I haven't read any of Jon Land's work yet, but I've heard of him. Perhaps we've come across each other in another blog, or Amazon recommended him to me? Doesn't matter. Kayla's recommendation is good enough for me, and a confirmation from Cheryl "CMash" is just extra confirmation! Yes, I have. I have read numerous books of Jon's and love them. I want these books. Got my fingers crossed. Thanks for the great giveaway. I have not read any of the books books before, but they look interesting.